Be the first to share your favorite memory, photo or story of Timothy. This memorial page is dedicated for family, friends and future generations to celebrate the life of their loved one. Peabody - Timothy Green Dempsey 88, formerly of Somerville, beloved husband of the late Joyce E. (Hartford) Dempsey, died Wednesday, August 15, 2018 at the Rosewood Nursing and Rehabilitation Center in Peabody. Born in Boston, he was the son of the late Timothy G. and Margaret (McCormack) Dempsey. He was raised in Somerville and graduated from Somerville High School. Mr. Dempsey had been employed for thirty five years as a civil engineer for the Commonwealth of Massachusetts until the time of his retirement. 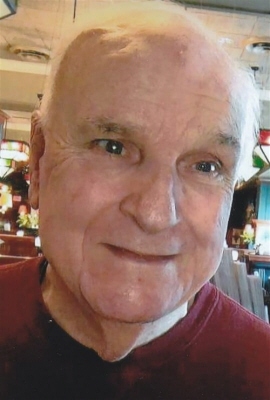 A longtime resident of Peabody, Mr. Dempsey was a generous and caring man. He was a loving father, grandfather, great grandfather and friend who will be missed by all who knew him. His family wishes to extend their gratitude to the staff at the Rosewood Nursing and Rehab Center for their care and compassion over the past several months. Surviving him are three daughters, Cindy J. Church and her husband, Paul of Alton Bay, NH, Leslie A. Milano and her husband, Peter of Salisbury and Julie A. Montague-Reardon and her husband, Dave of Peabody, four grandchildren, Tiffany Brown, Timothy Church, Bethany McCauley and Michael Montague, two great grandchildren, Leo Iris Brown and Rowan McCauley and several nieces and nephews. He was also the brother of the late Gertrude Dempsey, Joseph Dempsey and Richard Dempsey. His funeral Mass will be celebrated at St. Adelaide Church, 708 Lowell Street, West Peabody, Wednesday, August 22, 2018 at 10:30 a.m. Relatives and friends are invited to attend. Visiting hours at the Campbell Funeral Home, 525 Cabot Street, Beverly, Tuesday from 4 to 7 P.M. Burial in the Puritan Lawn Memorial Park, West Peabody. Information, directions, condolences at www.campbellfuneral.com. To send flowers or a remembrance gift to the family of Timothy Green Dempsey, please visit our Tribute Store. "Email Address" would like to share the life celebration of Timothy Green Dempsey. Click on the "link" to go to share a favorite memory or leave a condolence message for the family.